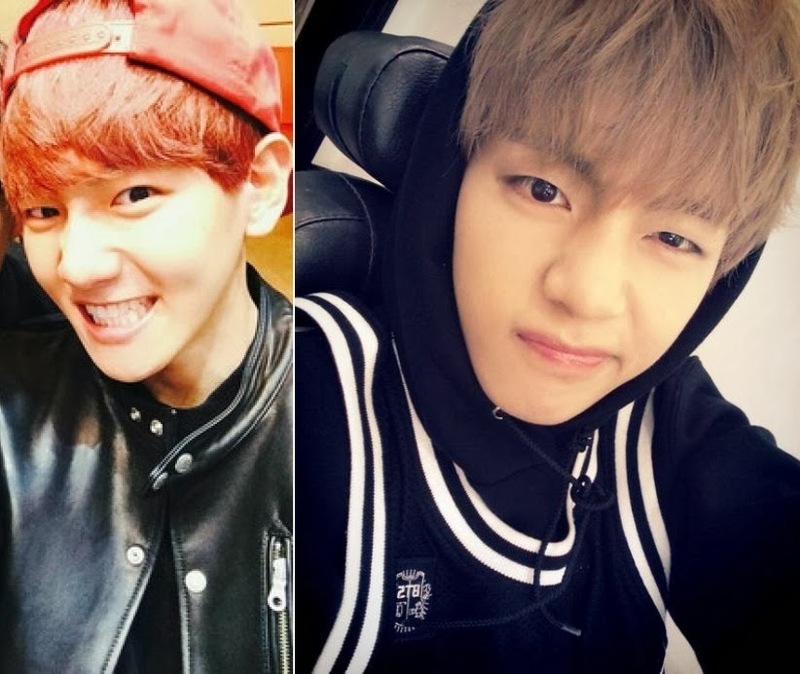 I cannot get over the adorableness of these two beautiful creatures, so I decide to make this post dedicated to outlining the traits that Baekhyun omma has passed down to only son, Taehyung the ladybug. And yes, it is in a fake interview format, because. Baek: Wait, are you plagiarizing my talk show concept? The one I did with D.O.? V: Omma, look at her name. Forward and backward it's still 리야리! Baek: You're not Korean, are you? Baek: No wonder you wrote your name wrong. V: Omma isn't in her best mood. I think you woke her up from her nap? Me: I did. Anyways, Taehyung ah~ I have a few questions here for you and your mom to answer. Me: You have a very pretty face. V: I got it from my omma and appa! Me: Bacon, what other things did your son "get" from you? Baek:...ah, pretty hands. Pretty voice, though his is obviously deeper than mine. Pretty hair - can you not call me Bacon? Me: Of course. Now, V, do you enjoy cross-dressing? V: As a ladybug? Yes! Me: Ah~~ Like omma, like son. Bacon, don't you just love your son's kkomul kkomul dance? Baek: Baekhyun! *murmurs* I told Daehyun not to teach him that when he was a baby, 18 years on and he's still dancing it. V: Omma, you said something? Baek: But my son is very manly too, you know? I mean, just listen to that voice. Me: Hmm, anything I left out? So that's all you got from your omma, right V? V: Oh, I can put on pretty eyeliners like omma! Baek: Shut up. Taehyung, go play with your friends Jimin and Jungkook. Me: Wait, we're done? Baekkie? TaeTae? Me: *whispers* Well, that's all folks. Till next time~ This has been Ria's TalkShowtime!